Love to leave your car at home? 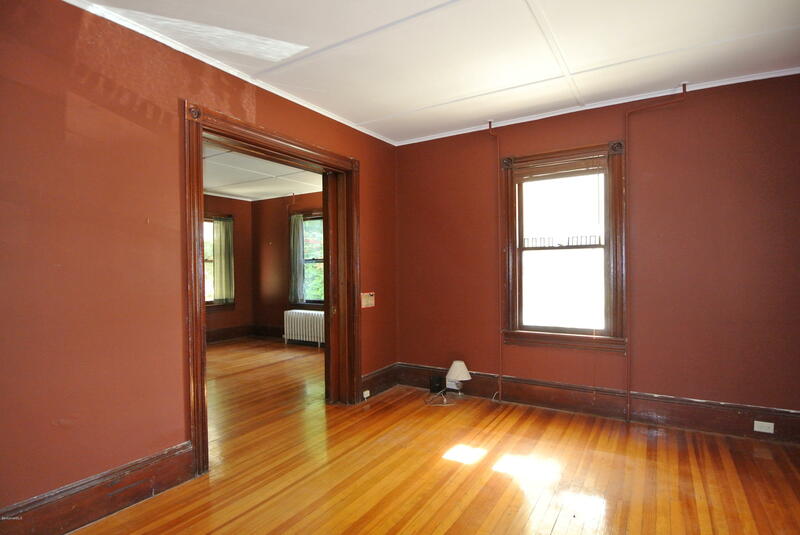 How about leaving it at this Queen Anne Victorian home in Great Barrington, MA? Might be time to dust off those languishing bicycles. 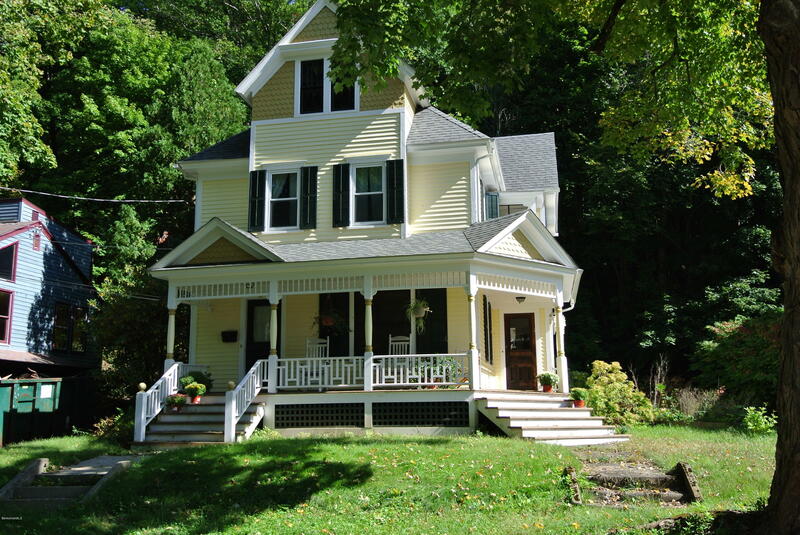 From this c.1900 house on the east side of Great Barrington to the center of town is a half-mile’s distance, which should take about five minutes on two wheels. Or, you could just walk, which takes about ten minutes. 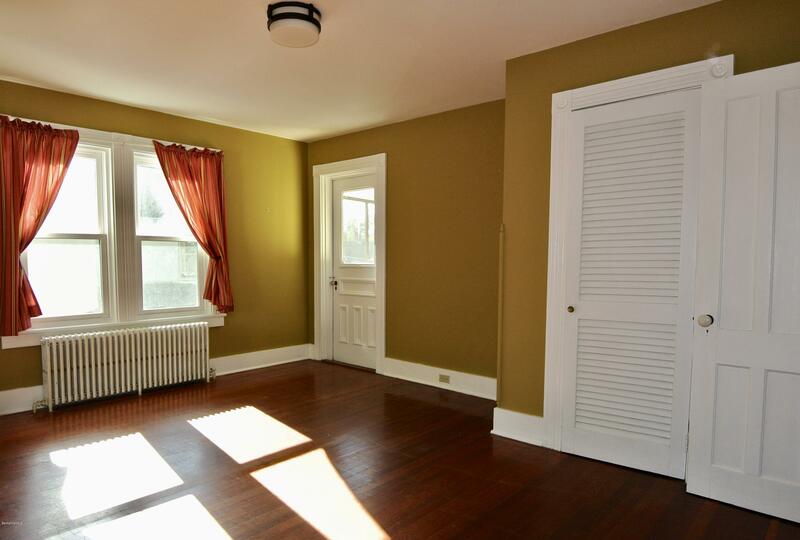 Either way, you’ll be heading home to this drop-dead gorgeous, four-bedroom house, so win-win! 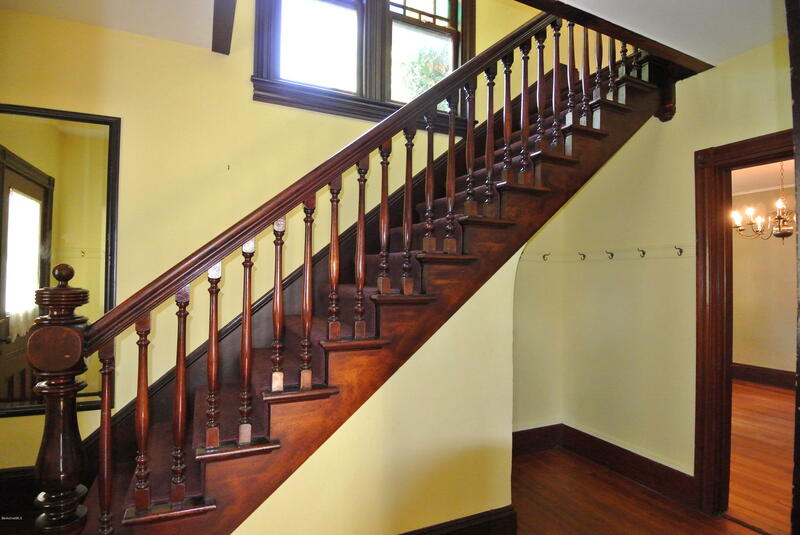 The 2,226-square-foot interior features the kind of details you’d expect from a gracious Queen Anne Revival, from the wooden main staircase, to sliding pocket doors, to high ceilings, to stained glass. 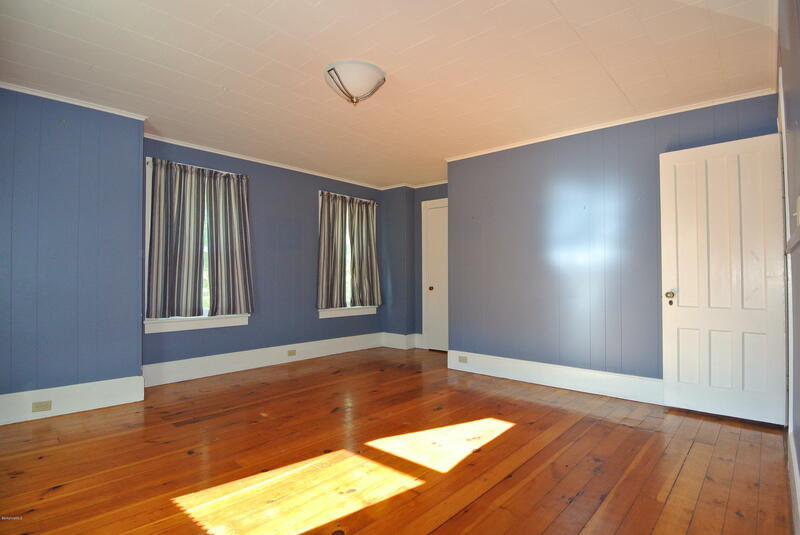 Some of the floors and wood trim look a bit scuffed and scratched (it’s an old house; these things happen), but overall, it’s ship-shape. 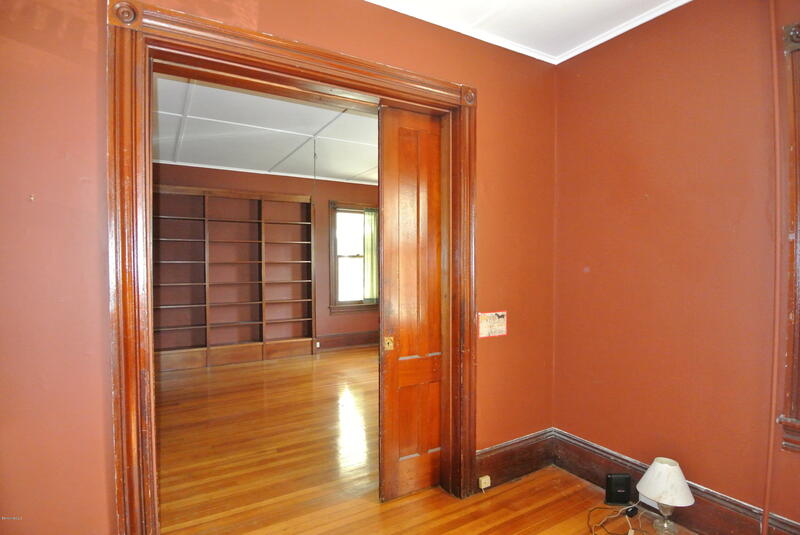 …and the bedrooms are equally ample. 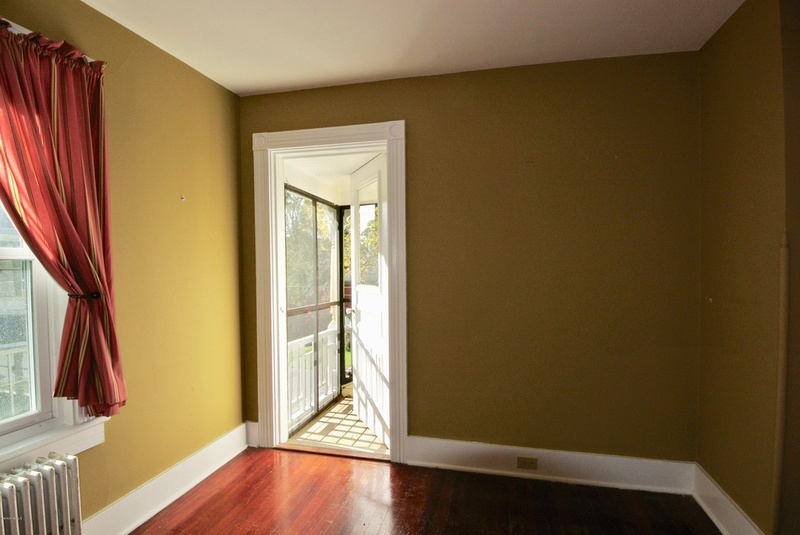 One of the reasons we love a Queen Anne Victorian is that they always come packed with nifty nooks and crannies, and this one doesn’t disappoint in that department. 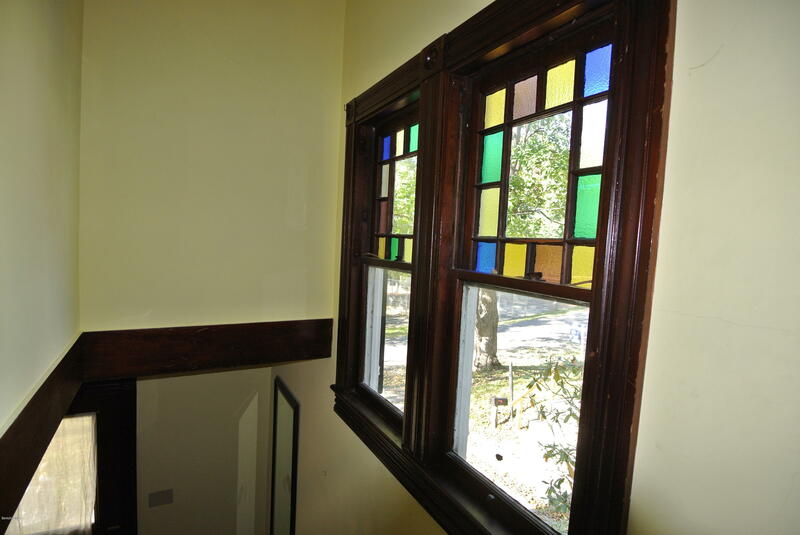 For example, one of the upstairs bedrooms includes a private mini-balcony that looks out from the house’s south side. 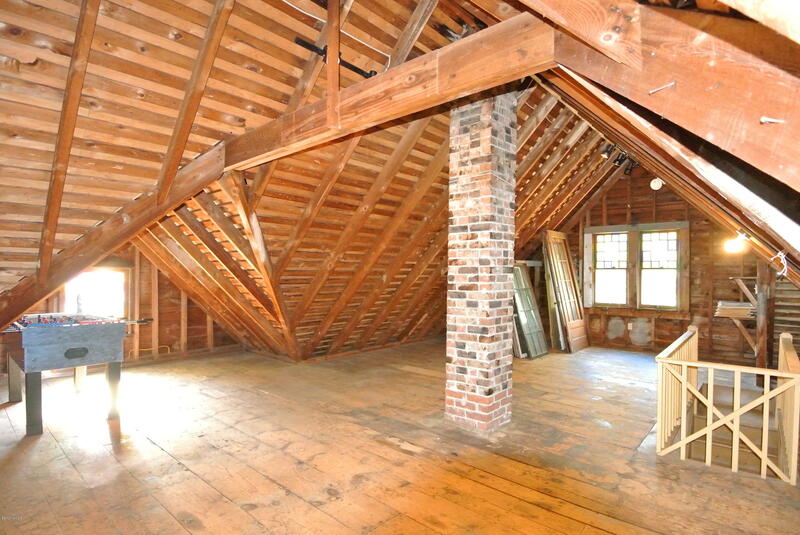 There’s still more room in the third floor attic. 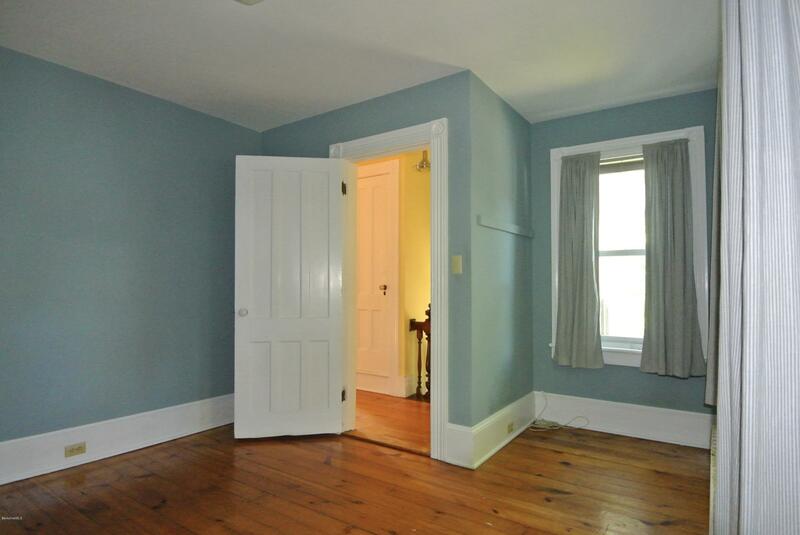 A tasteful finish could transform this into a guest suite, home office, or art/music studio. 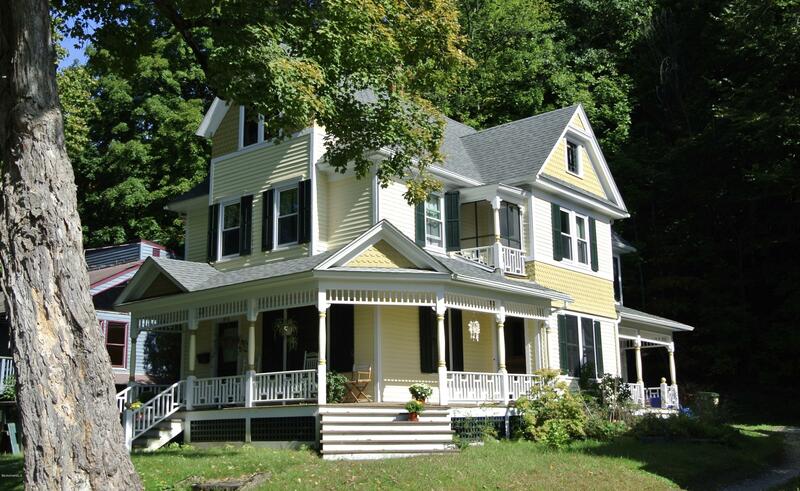 …and, the cherry on top: A wrap-around porch, just like any self-respecting Queen Anne Victorian should have. 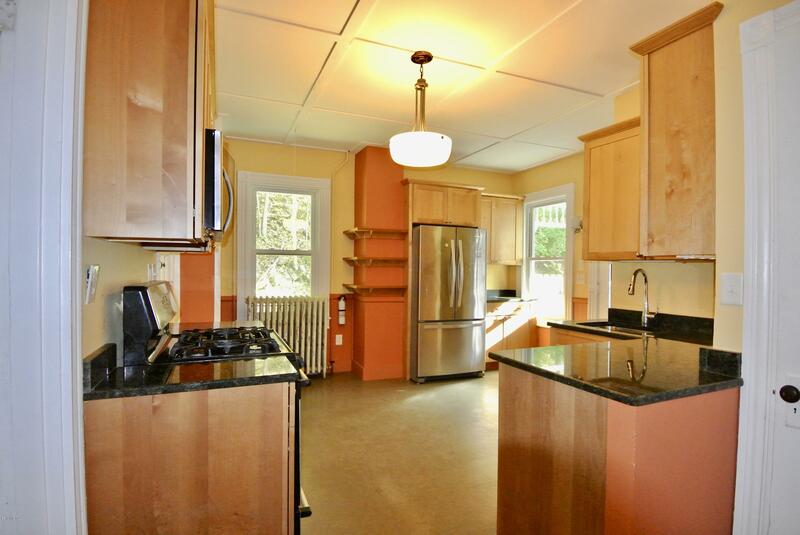 The lot is just under a quarter-acre in size, and Grove Street Park is right across the street. 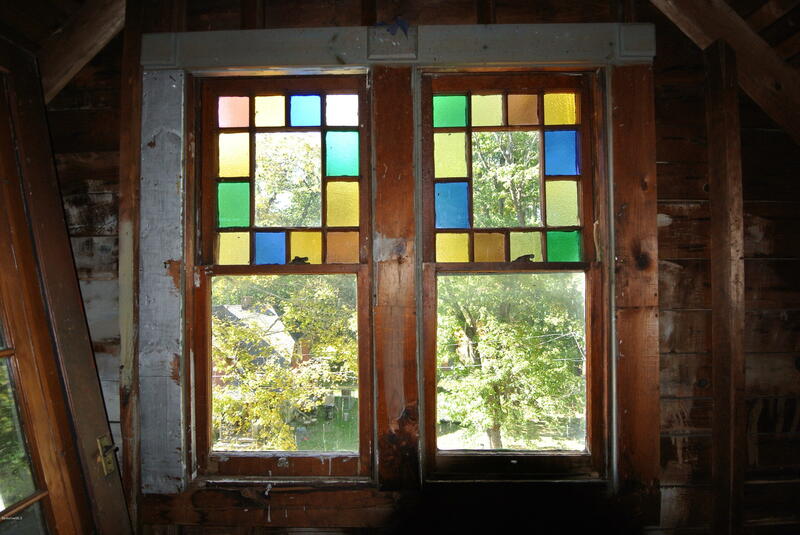 And, when you can walk everywhere, the whole town of Great Barrington, MA can be your backyard. 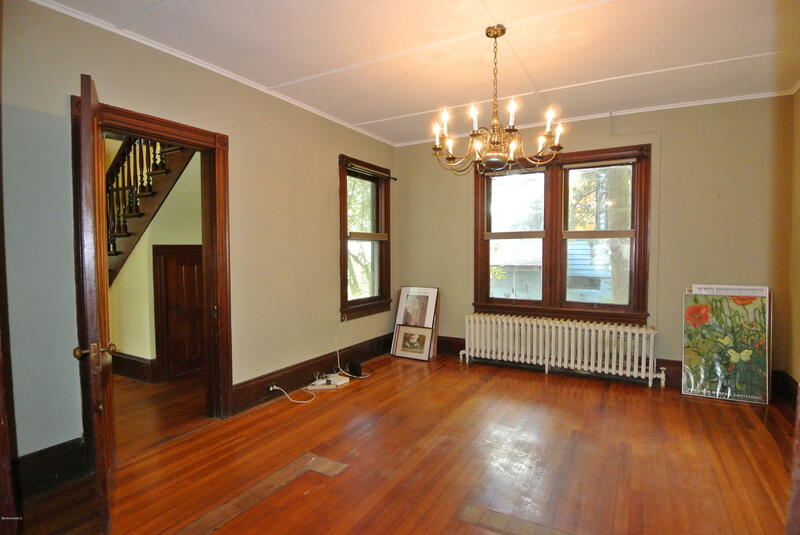 Taking a fancy to this Queen Anne Victorian home? 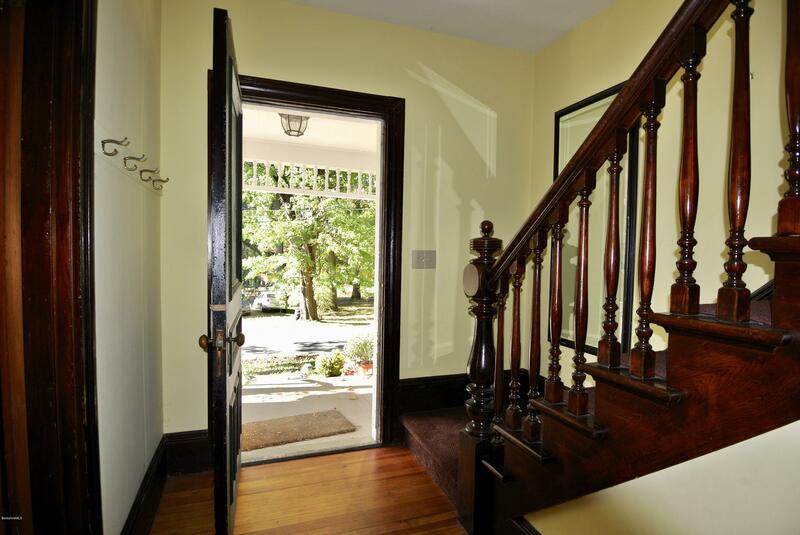 Find out more about 37 Grove Street, Great Barrington from Stone House Properties.